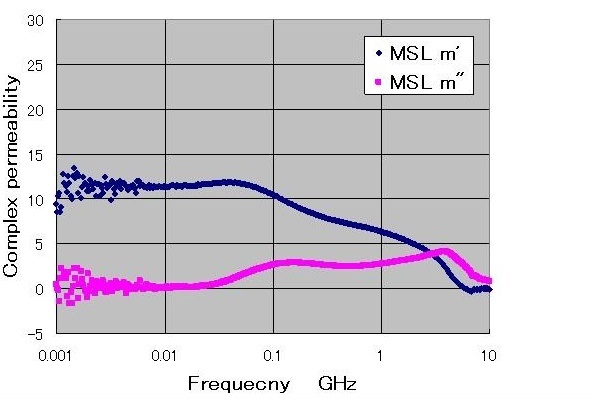 This measurement system covers wide frequency range from 100kHz to 30GHz ! It excludes influence from permittivity, so you can get measurement data corresponding to your simulation !! 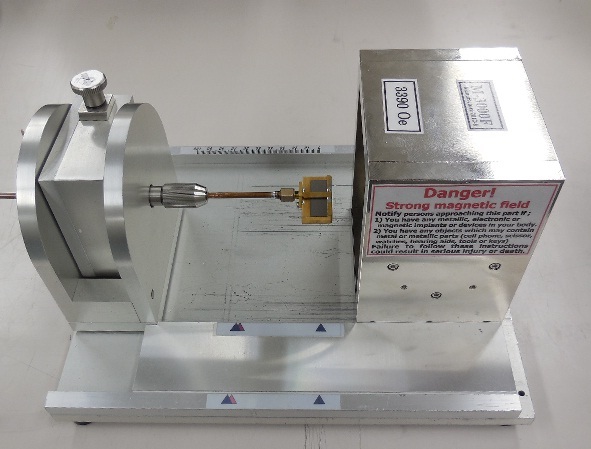 KEYCOM’s magnetic property characteristics measurement system delivers ideal measurement solutions for complex permeability μr'- jμr'' in wideband from 100kHz upto 30GHz(* As for requests about the range from 20 - 30GHz, please use our measurement service.). 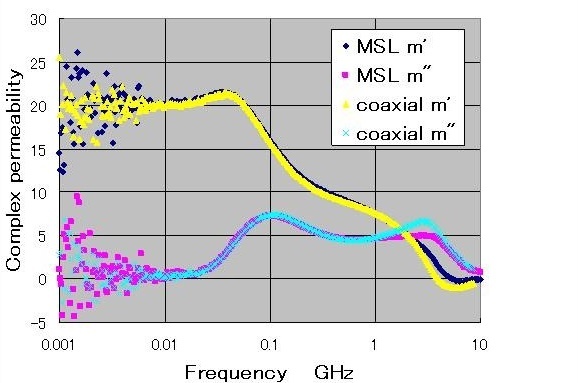 Also provides ferromagnetic resonance linewidth ΔH and relaxation coefficient α from 100MHz upto 10GHz. Its simple measurement process of setting your disk or square specimen on the microstripline and sweeping the frequency with your vector network analyzer makes your measurement easier and more accurate. 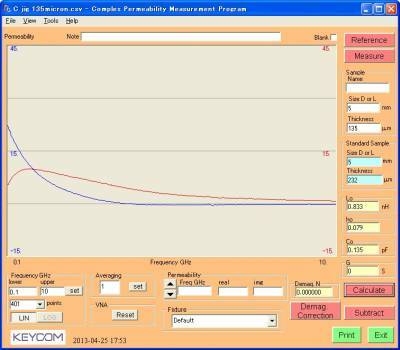 Please also see the webpage of KEYCOM's measurements, evaluations and analyses service center. Inter mag 2008, 4-8 May Madrid, Shigeru Takeda, Hirosuke Suzuki " Measurement System of FMR Line width ΔHw using Shorted Stripline"
※thick specimen - more accurate result in low frequency can be expected, thin specimen - more accurate in high frequency. VNA Vector network analyzer Available upon request. Please request the model of your choice. *Magnetic Property has geometric effect. Measurement for geometric effect also available. 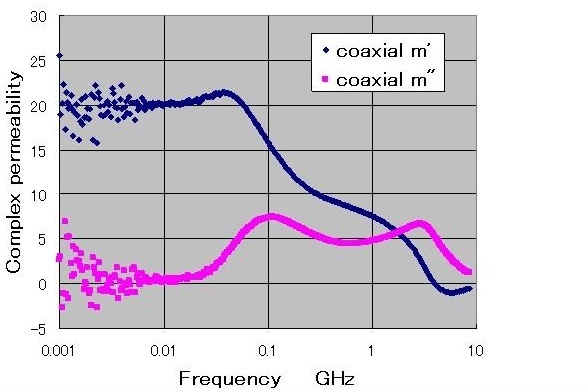 For measurement of ferromagnetic resonance linewidth ΔH, relaxation coefficient α.